The Battle for the Arab Viewer - A behind-the-scenes look at the rivalry between the Arab world's two main TV networks - Al Jazeera and Al Arabiya. Bisexual Virgins - This engaging, non-confrontational documentary invites us to look at the fluidity of sexuality in a whole new way as two "bi-curious" young women confront their fears and inhibitions. The Boy Inside - An intensely personal film about growing up with Asperger Syndrome, following 12-year-old Adam as he struggles to make sense of bullies, girls, and life in the real world. Chore Wars - Do you say "I love you" with flowers - or by doing the dishes?! The place of chores in the battle of the sexes. 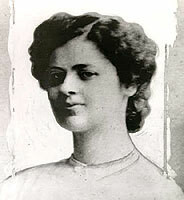 Clara Lemlich - The story of the young, Jewish, Ukrainian-born woman who in 1909 sparked the 'Uprising of the 20,000' -- the first massive strike of New York City garment workers. A Day with... - Eight African filmmakers each contribute a documentary portrait of the life of a different West African child. An Empire of Reason - What it would have been like if television had covered the ratification process of the US Constitution in 1781. 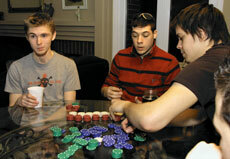 Gambling Boys - Looks at the growing problem of gambling addiction among teenagers. Last Grave at Dimbaza - Shot secretly and smuggled out of South Africa at the height of the apartheid era, this was the most widely screened and influential anti-apartheid documentary. Now restored and on DVD for the first time. The Loving Story - Oscar-shortlist selection, this is the definitive account of Loving v. Virginia, the landmark 1967 Supreme Court decision that legalized interracial marriage. 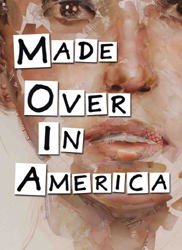 Made Over in America - In a culture where bodies seem customizable, how do we perceive body image, and how are desires for a better self influenced by reality television and the makeover industry? A Natural History of Laughter - A lively look at the latest developments in the scientific study of laughter. Nefertiti's Daughters - Female street artists are on the front lines in the fight for freedom in Egypt today. The Paper - A year in the life of one of the country's biggest college newspapers, Penn State's The Daily Collegian, as it struggles with declining circulation and difficult choices about how to represent its diverse readership. 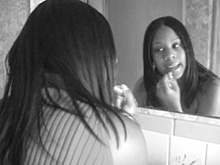 PicturePerfect - This lively and engaging video explores the impact media has on young women's physical, psychological and emotional health, and offers tools to begin dissecting the media that influence our behaviors, attitudes, and values. School of Babel - Welcome to a unique Parisian program for immigrant children from all over the world. Ten Commandments of Communicating With People With Disabilities - This top-selling video is used to train staff and community on disability etiquette and best practices. How I Coped When Mommy Died - This inspiring video was created by 13-year-old Brett after losing his mother to breast cancer when he was ten. Original music, animated video, photographs and artwork illustrate the teenager's experiences, thoughts, and feelings, while he takes the viewer on a journey through several years of his life. Mayor of the West Side - What happens when love gets in the way of letting go? As a teenager with multiple disabilities prepares for his Bar Mitzvah, his family and community consider what Mark's life will be like when they are no longer able to protect him. Pushin' Forward - Growing up poor and Latino, James Lilly was a gang member until at 15 he was shot in the back and paralyzed. Today, he shares his story with inner city kids, and tells them what helped him move on: wheelchair racing. Roll On - Aims to share the everyday lives of families living with neuromuscular disorders. Tagged - Playful, smart and engaging, TAGGED stealthily taps into a widespread sense of unease raised by the technological development of human implanted microchips. Two Worlds — One Planet - This documentary brings Autism syndrome out of the shadows, stressing that young people with developmental disabilities can learn and grow, if their individual needs, styles, and abilities are respected.